The gunman who fired on a country music festival in Las Vegas also researched outdoor performance areas in Boston and other large cities in recent months, a law enforcement official with knowledge of the investigation said Thursday. But Stephen Paddock, 64, of Mesquite, Nev., doesn’t appear to have traveled to most of those locations, said the source, who was not authorized to talk about the inquiry into Sunday’s mass shooting, which killed 58 people and injured nearly 500. Paddock also appears to have spent much of September in Las Vegas, where he was seen gambling in the weeks before the attack, according to casino representatives. Officials have struggled to find a motive for why Paddock, a retired real estate investor who liked to gamble, took at least 10 suitcases worth of firearms and ammunition to the 32nd floor of the Mandalay Bay Resort and Casino and opened fire on a crowd of concertgoers gathered below. But new details about Paddock’s activities in recent months suggest that he may have had other targets in mind. 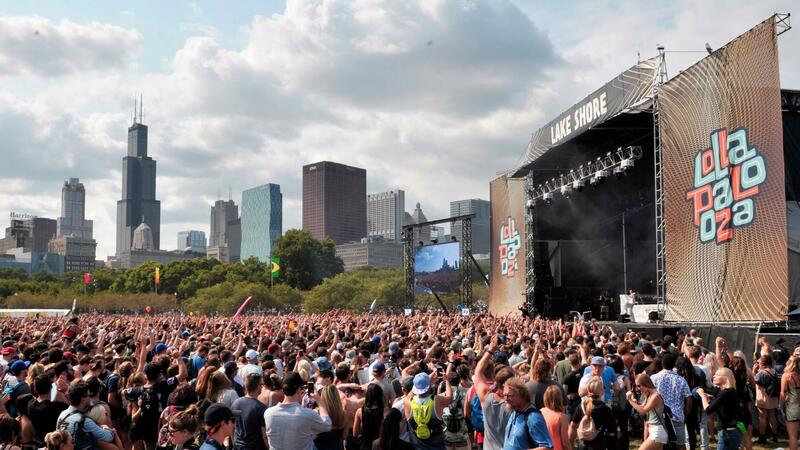 In the first week of August, Paddock reserved rooms at an upscale hotel overlooking Chicago’s Grant Park during Lollapalooza, one of the nation’s largest outdoor music festivals, a law enforcement source said. The event was headlined by major acts including Chance the Rapper, the Killers and Muse, and attendees included Sasha and Malia Obama, the daughters of President Obama. It would have been a target similar to the one in Las Vegas — huge crowds packed into an outdoor space beneath tall buildings — but with far more people. Paddock was ultimately a no-show for his reservations in Chicago. “We can confirm that there was no guest under that name who stayed at our hotel in August during the Lollapalooza music festival,” said Blackstone hotel spokeswoman Emmy Carragher.